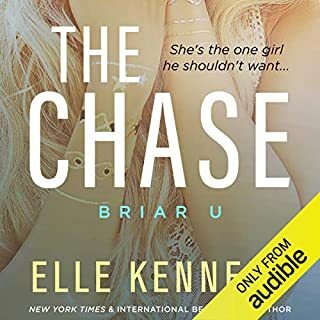 The USA Today best-selling authors Terri E. Laine and A.M. Hargrove, who brought you Cruel & Beautiful, bring you a new emotionally charged stand-alone contemporary romance. This is a spin-off of the Wilde Players dirty romance series. She was perfect for me in every way. Once we kissed that first time, there was no turning back. But I made a mistake by letting her go. My need for her has only grown. After three long years, I’ve decided to get her back. Only I’m too late. Someone has taken my place. I don’t know if I still love her or if I should hate her. One thing is certain. She is and always has been mine. 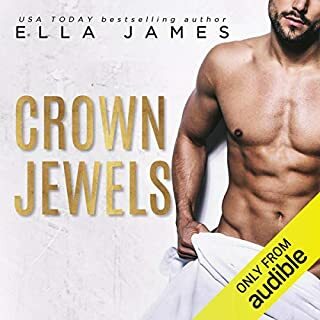 ©2018 Terri E. Laine & A.M. Hargrove (P)2018 Audible, Inc. Loved this second chance romance! It was great listening as Andi and Chase's relationship finally came together. It was nice that they had to overcome so many real life relationship struggles between each other as well as overcoming difficult circumstances as a couple. There were some very sad and devastating things they had to go through that just hit me right in the feels. Really enjoyed the writing overall and loved these characters and their story! These two narrators are new to me but they gave a fabulous performance that made this a very pleasant listen. Both gave clear performances with enough voice differentiation and dramatization. I feel like they were excellent choices for these characters and complemented each other well. Emotional, and Steamy Second Chance Romance! omg, what an emotional, and steamy second chance romance! Chase and Andi have been friends since they were kids. They started a secret relationship, not wanting their families to keep them apart if they knew. When Chase has an offer to play soccer professionally out of the country, Andi stays back to finish college. But as time passes, Andi wants to be independant and they soon lose touch. But finally Chase returns to claim the only woman he has loved, only to get blindsided. I really loved Chase and Andi, even when I didn't agree with their decisions and actions, and the depth and strength of their love for each other. There are some very emotional twists to this story that are heartbreaking and had me totally captivated. Narrators Savannah Peachwood, and Chris Chappell are amazing. They are a perfect team, allowing me to feel every emotion and to be totally immersed in this world. Omg!! This is one of my favorite books of all time. It’s a story of second chances and best friends turned to lovers. Andi has been keeping a secret from chase for a while. Chase seems andi out and finds out. Needless to say, he is upset. He wants things that Andi is having a hard time giving him. They work everything out and find love on the other side. Audio and in eReader or paperback. This book makes your heart swell and feel so happy. They have tough and scary times, but it shows you just have to stick together and support one another no matter what. This is a 10 star read/audiobook for me!! You will love it!! Loved Cruel and Beautiful by these authors and looked forward to enjoying this one. How sad! Probably would have quit listening if I’d thought ahead and downloaded another book for my trip. The narrators didn’t help at all. 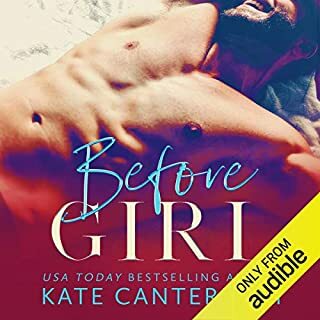 I recently just got into audible books and have been dying to read this one. I was lucky to get a copy and let me tell you, it’s apparently amazing. The story hooked you I was up all night listening to it. I've listened to several awesome books by these authors which is why I selected this book. The first few chapters really held my interest and it became harder but I finished!! I'm a diehard audible listener and have many, many books in my library. I also like to try new authors and narrators. Savannah I like and Chris Chappell is new to me but I'm liking him. I probably rated this book higher because of the authors and narrators. I struggled with the story though. But that's just me.